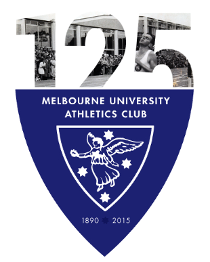 Melbourne University Athletics Club » New World Record for Irie! New World Record for Irie! Irie Hill took gold in the best manner possible by extending her W40 world record a further centimetre to 3.71m at the World Masters Athletics Championships in Lahti Finland. Competing in favourable conditions Irie had a small shock to overcome when the pole she was sharing with one of the male competitors the day before snapped in his competition, leaving her without her preferred warm up pole to use. 20cm to comfortably clear again on the first attempt at 3.55m. With 2 jumps gone Irie raised the bar again, this time to a new world record height of 3.71m which was a centimetre higher than she had jumped the previous weekend finishing fourth at the Bavarian Championships. First time clearance, which was the case for the whole competition, and the world record was extended. Irie had 2 attempts at 3.80m and then called it a day, with some soreness in her lower leg just making her cautious and a long season still ahead. A five hour wait in doping control somewhat slowed down the party atmosphere but all in all a great day out!